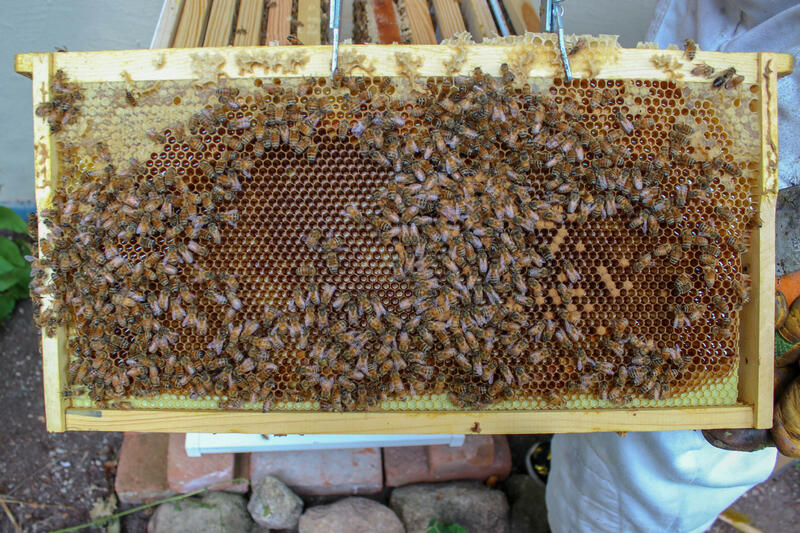 Brian Peterson caught the beekeeping bug after a two week apiary course on Beaver Island. 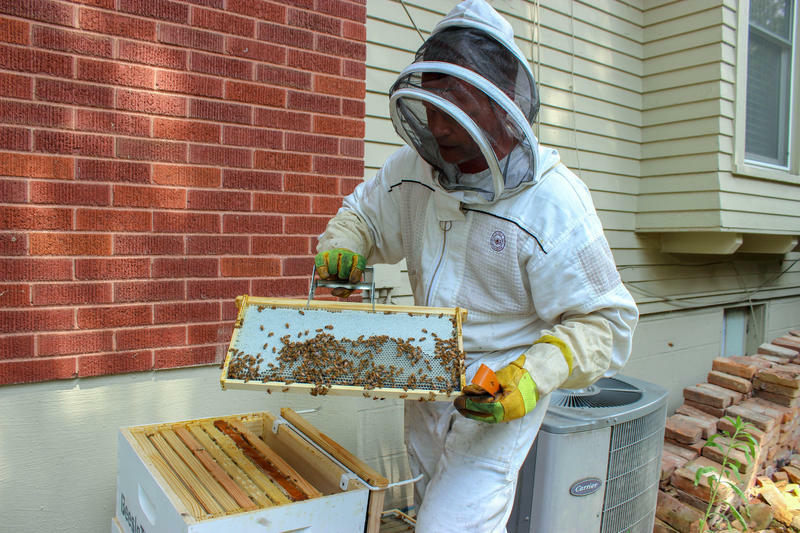 Ten years ago, the science coordinator for Rochester community schools called Peterson and told him the Women’s Garden Club of Rochester wanted to sponsor a school teacher for a two-week crash course on beekeeping. Peterson said he could not sign up fast enough. After that, Peterson got his own hives for his garden, and quickly saw the impact the bees had on his produce. Before having bee hives, Peterson said he would take a paint brush and spread pollen on his plants himself. When Peterson and his now-husband decided to move to Detroit from Lake Orion, he thought his beekeeping days were over. Then, he took a vacation to New York City. “I was at Battery Park and literally three feet away from me — here are beehives, right in the middle of this public park. And I thought wait for a second, if they can do that, why can't I in Detroit?” Peterson recalled. From there, Peterson launched his nonprofit and started building hives and educating people about bees. Peterson said getting people to place beehives in their own yard just takes a little education. The best way to do that, he said, is to take them to the hives so can see just how docile bees are. 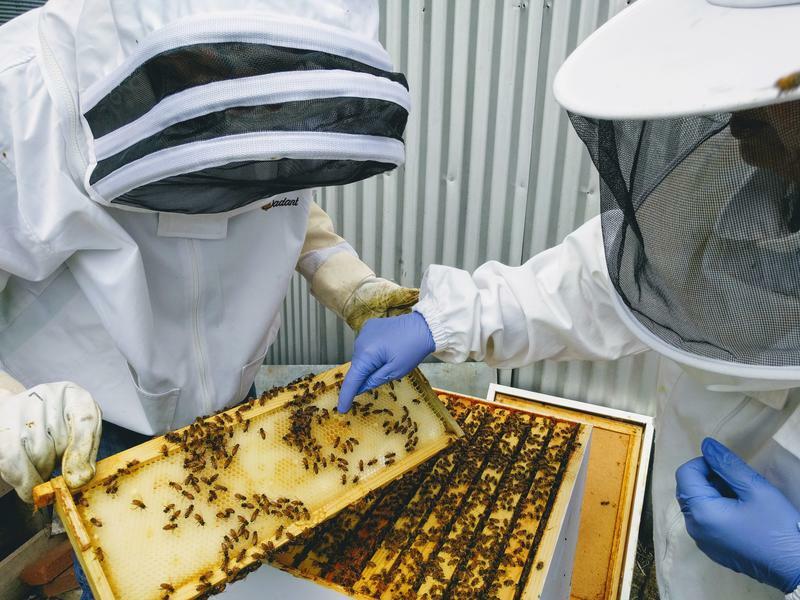 If someone can't commit to an entire hive in their backyard, Peterson said they can help by planting more bee-friendly plants like lavender, herbs, and wildflowers. He said Bees in the D is working to create a "bee highway" of habitat in Southeast Michigan. The organization will be hosting its Second Annual Bee-Bee-Q fundraiser Saturday, June 23. Most veterinarians probably don't picture themselves working with bees. But thanks to new federal regulations, more and more might soon find themselves with six-legged patients. Photo by Scott McArt, used with permission. We’ve heard a lot about honeybees and how important they are as pollinators. 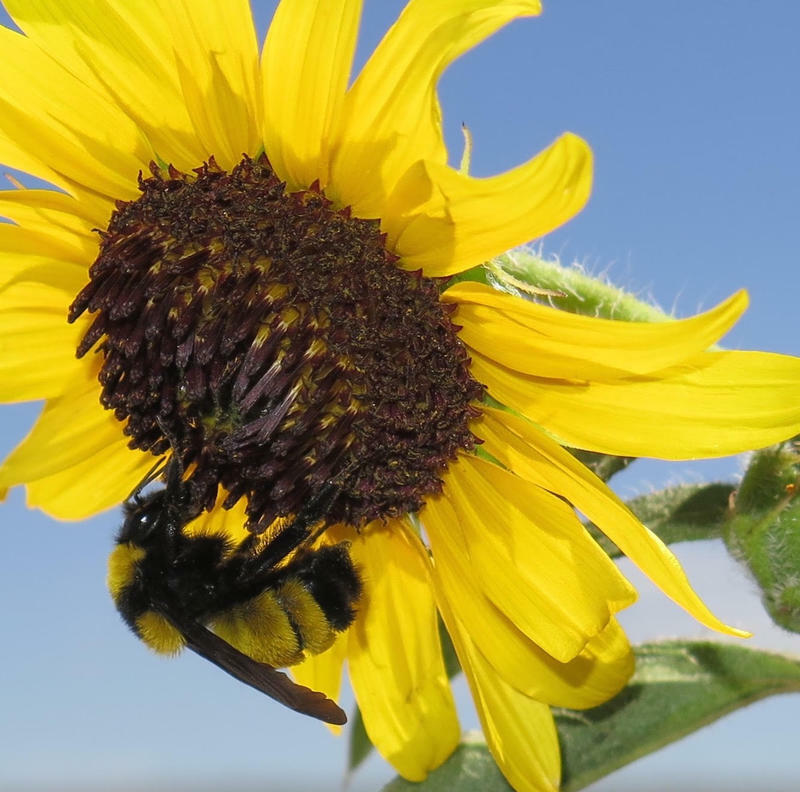 But bumblebees pollinate wildflowers and crops, too, and some kinds of bumblebees are in trouble. Many gardeners know that bees are in trouble, and they want to help. 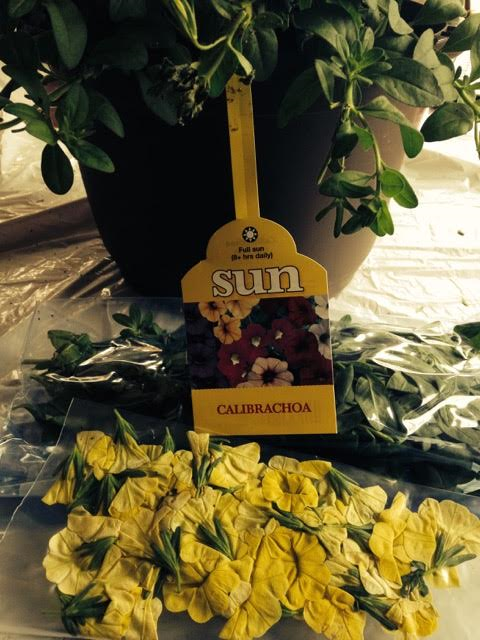 Sales of so-called "bee-friendly" flowering plants are on the rise. There's just one problem, says Melissa Cooper Sargent of the Ecology Center, and it's a big one. Sargent says it's common practice for nurseries around the country to treat the seeds of the plants, or the plants themselves, with pesticides called neonicotinoids, that are highly toxic to bees.